At The Pat Group, we’re all about making Ireland the safest workplace in the world. The Pat Group have 30 years of experience in electrical work and have seen so many life-threatening accidents happen. That’s why we decided to be all about making you, the workers and businesses in Ireland safer! Electrics is our thing, safety is our passion.  We offer a full range of electrical services including commercial and industrial works and safety testing to protect your business. With over 30 years of experience you can rest easy knowing we can provide the exact service you need.